PALM SPRINGS, Calif. – Game one of the final day in January of 2018 consisted of the Manitoba Northstars and Oregon Lumberjacks ending in a 2-2 tie at Palm Springs Stadium Wednesday morning. Left-handed pitcher Gary Aho got the start for Manitoba (2-3-1) and was outstanding over five innings of work. Aho did not allow a run on three hits while striking out four and walking none. 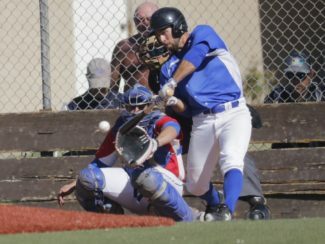 The Lumberjacks (2-3-1) were first to score in the contest, as the first four hitters reached in the top of the sixth. Ryan Dickt singled and eventually scored on an Austin Meyer RBI sacrifice fly. Joe Torre, who reached on an error, scored on a wild throw. Trailing 2-0 in the bottom of the seventh, the Northstars put together a rally with two outs. Adrian Guzman worked an eight-pitch walk and was driven in on a Charles Misiano triple to cut the deficit to one. With Misiano standing at third base, Will Krug sent a dribbler to second base that resulted in an error and a run scored to tie the game at two. Krug stole second base and moved to third on a wild throw, but did not score after Robert Humes got Connor Ryan to line out to end the contest. The Northstars’ manager, Boots Day, is an assistant with the Evansville Otters of the Frontier League. Luckily for Guzman, Day took a liking to the shortstop, as Guzman signed a contract to join the Otters in 2018. 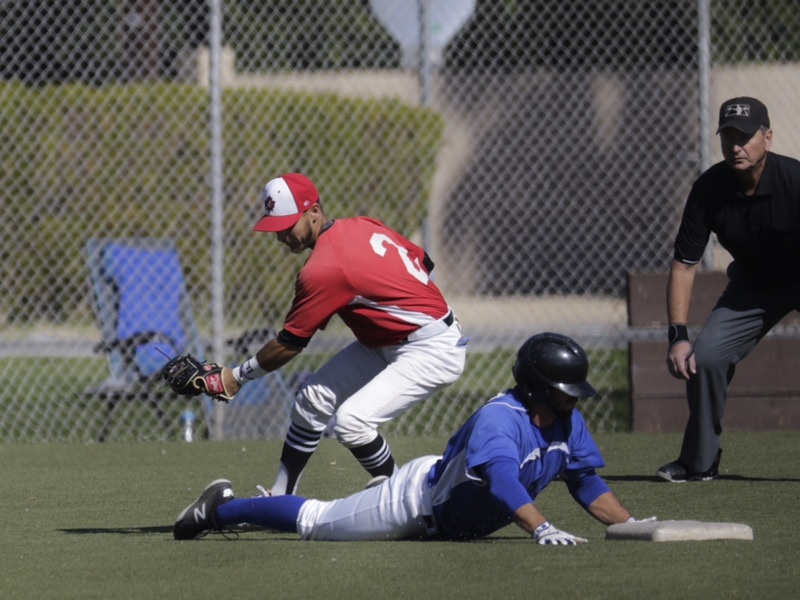 In the second game of the day, the Palm Springs Chill defeated the British Columbia Bombers, 10-3. Tyler Matzek started for the Chill, making his third appearance of the winter league, and fired three shutout innings. The left-hander struck out seven batters while only allowing two hits and one walk. The Chill provided plenty of run support for Matzek as well, scoring five runs in the first three innings. Ryan Binggeli started for the Bombers and was ineffective, lasting just two innings and surrendering three runs. Eight of the nine Chill starters reached base safely at least once and six different hitters had an RBI in the game. 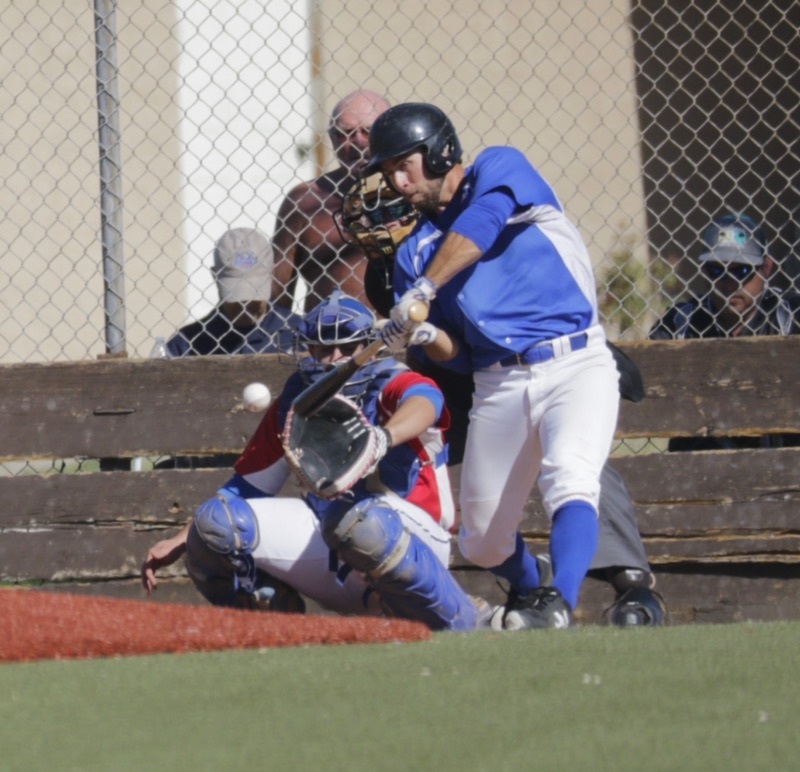 The Chill scored in five separate innings while scoring two or more runs in four of those frames. Right fielder Zach Nehrir was the standout star at the plate, going 4-for-4 with a double, three singles and three runs scored. 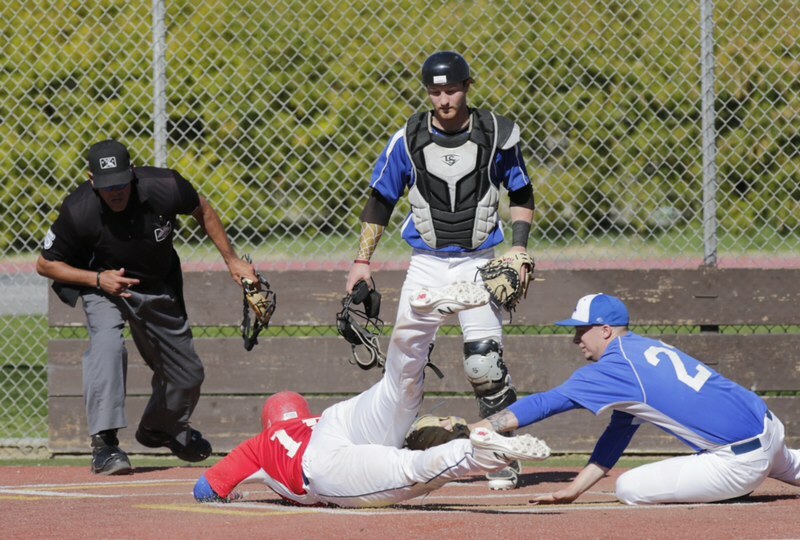 Nehrir also made a diving catch to end the game in the seventh inning, to add to his excellent performance. The Bombers didn’t do much at the plate thanks to Matzek’s sharp start and three relievers combining for four solid innings. But in the loss, Trevor Achenbach went 2-for-4 with an RBI double, a single, a stolen base and two runs scored. On the auxiliary field, the Alberta Grizzly defeated the Coachella Valley Snowbirds 8-2. Austin Bueter went 6.2 innings and allowed two runs on four hits with 13 strikeouts and two walks. Bueter was perfect through 3.2 innings, and did not allow a hit until the fifth with two outs. The Grizzly improve to 3-2-1 on the year, while Coachella Valley falls to 0-6. 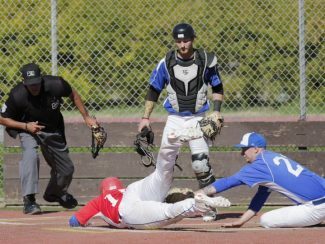 In game two, the Canada A’s were victorious over the Washington Blue Sox in a 7-6 nail biter. 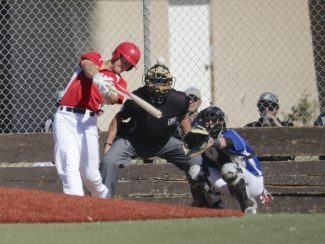 Canada’s Carter Grote went 2-for-3 with two home runs and three RBIs. 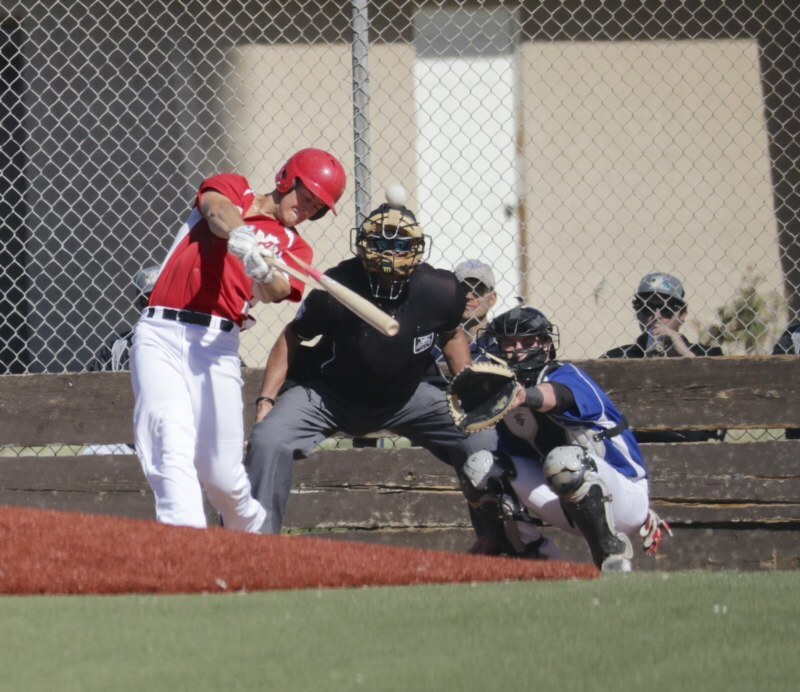 Grote is tearing up the Winter League, as the A’s infielder has four home runs and 12 RBI through six games. Canada improves their record to 6-0 with the win and Washington drops to 4-2. Thursday is “Out-of-Towners Day” at the Palm Springs Stadium. Those with a valid out-of-state ID will be admitted to the ball park for only $3! Game one will begin at 10:00am between the Blue Sox and Toronto Rush. The broadcast can be listened to live online at CaliforniaWinterLeague.com.